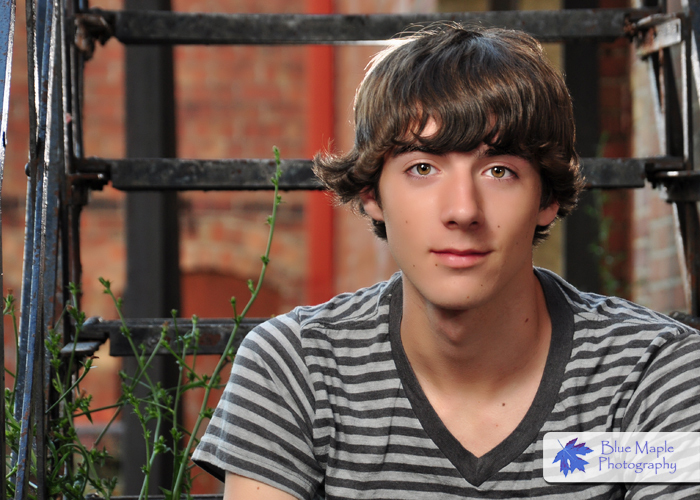 What Makes A Great Senior Portrait? An individual look that matches your personality. Beautiful, warm skin tones, free of blemishes and skin imperfections. A current style that looks like it came from a magazine rather than your parents’ yearbook. Soft, flattering lighting that shapes your face and makes your eyes sparkle with life. By getting your portraits done at Blue Maple Photography, you’re guarantee that you’ve gotten the very best. How Much Do Senior Portraits Cost? What you pay for your portraits is important. But what you get for what you pay is even more important. That’s what value is, and why you always get more than your money’s worth at Blue Maple Photography. Your session should be fun and you should feel comfortable and relaxed. You should never be rushed. And you should have a great time. At Blue Maple Photography, you get all this and more. Our Photographer, Brian K. Mollenkopf (a.k.a. Coach Brian) enjoys making seniors look and feel awesome. Behind the camera, he’s one of the best. How will I look in my pictures? You already know you get more variety than anywhere else at Blue Maple Photography. And that your pictures will show more style, personality and fun. Coach Brian can make the difference between a mere picture and a true portrait. You are never stuck with pictures you don’t like at Blue Maple Photography. If you’re not happy with them for any reason, we’ll remake them, no hassles ever, no fine print. This 100% guarantee is peace of mind for both you and your parents. Can you trust your once-in-a-lifetime portrait to a once-in-a-while (or hardly ever) photographer? Anyone with a camera can point it at you and take your picture. But there’s a big difference between a snapshot and a professional portrait. Blue Maple Photography continues to grow because they provide creativity, value, service and professionalism at the highest level. A quick glance at the photos at www.bluemaplephotography.com makes it easy to compare – because there is no comparison! Some studios try to make you buy one of their packages to fit your needs. We think it should be the other way around. At Blue Maple Photography, if you want one photo for yourself, a different one for Grandparents and some wallets for your friends, you can get just that. If you need lots of images for yourself to give away, that’s what you can get. At Blue Maple Photography, you get what you want. Be sure to visit our website to see our pricing structure. Limited time special, book a Senior Session for this Saturday, Sunday, or Monday and receive 10% OFF any final print or product order over $250. Call 614.887.7491, visit Blue Maple Photography on the web at www.bluemaplephotography.com, or CLICK HERE to schedule a session. We are Artists in Out-of-Doors Natural and Urban Portraitures and specialize in on-location portrait sessions. Book A 2012 Senior Session Now! A crisp chill is now in the morning air, yellow school buses are running their routes, and the fall colors on the trees are just around the corner. Like most high school senior, you are thinking about what you are doing to do after graduation. It could be enter college, the workforce, or the arm forces. What about your parents, family, and friends?. They want to remember you and your school days. They want Senior Portraits! Why not contact Blue Maple Photography and Book a Session Now? I love taking pictures so it is only natural that I carry my camera with me all the time. Today was no exception at the Delaware Hayes Pacers Cross Country meet. I shot and produced a slide show of the boys and girls races today. Please take a look! Be sure to give Blue Maple Photography a call to assist you with all of your photographic needs. A lot of the trendy magazine are producing images with different effects. So we here at Blue Maple Photography can also do those effects to your images. Below are four examples of the vintage effect. Three are images of an one room school and the third is a portrait. The vintage effect give your images that 50s to 70s look and feel with a blue to yellow or a red to yellow cast. Here are just a few of our favorite shots from the session with Mason. Blue Maple Photography can capture precious moments like this for you and your family to keep and cherish forever!